# 14, 3rd Main, 3rd Phase, 2nd stage Domlur, Bangalore - 560071, Karnataka, India. Value Designbuild Pvt. Ltd. (VDB) is an ISO 9001:2008 certified Bangalore- based company, incorporated in September 2002, under the provisions of The Companies Act, 1956. VDB is engaged in property development and design-build services. The firm is registered with all regulatory authorities in India like Income Tax, KVAT, Service Tax, et.. VDB is a member of CREDAI (Confederation of Real Estate Developers’ Association of India), Bangalore, which is the apex body for private real estate developers in India. VDB is driven by Koshy Varghese who has over 30 years of experience in the fields of real-estate development, construction and architecture. Prior to setting up VDB, Koshy had worked in various capacities for international companies like WJ Towell, Oman National Development Company, Prestige Estate Projects and Scotts India among others. Apart from Koshy Varghese, VDB is run by team of the finest professionals, with a collective experience of over 70 years in the construction industry. The company adheres to a principle of impartiality in everything it does. To clients this converts into transparency and honesty in each deal. To partners this means a relationship based on complete faith and reliability. To employees this implies approach-ability and the guarantee of being heard. 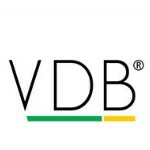 It is upon this foundation of openness that VDB sets about building its empire.